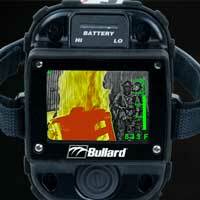 The United States government and its trading partners control the technology upon which Bullard’s Firefighting Thermal Imager is based. Bullard has obtained a special export license from the U.S. Government in order to provide this important equipment to your Fire Department. Because of the possible dangers of misuse or diversion of this device for illegitimate purposes, we must ask for your cooperation to assure that thermal imager(s) that Bullard ships to you are used only for the intended purpose of firefighting, search and rescue, hazard assessment, and/or similar fire and rescue activities. Your cooperation in this regard is a condition of our sale of the thermal imager(s) to you, and you must acknowledge your acceptance of the following conditions via this web-based form. By purchasing Bullard thermal imager(s) for firefighting and rescue operations, you hereby confirm that you are a legitimate firefighting organization recognized by the appropriate authorities of your local, state (Lander) or federal government. You acknowledge that you have not been provided any detailed designs, manufacturing know-how, software source code, operating algorithms or related documentation specific to the focal plane array contained in this/these thermal imager(s). You will be or have been supplied operating manuals for the model(s) of thermal imager(s) you are purchasing. You will not disassemble, modify or enhance thermal imager(s) supplied to you. Such activities will void all warranties by Bullard and its suppliers in addition to violating the terms of the export license under which you originally purchased this thermal imager. 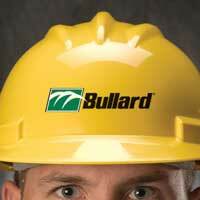 Repairs may be made only by repair centers authorized by Bullard/Bullard GmbH. Contact your Bullard representative for repair information. You may not re-sell, re-export or otherwise transfer possession of thermal imager(s) to another individual, entity, or organization without prior authorization from the U.S. Government. You will use thermal imager(s) for the stated purpose of firefighting, search and rescue and related activities only within the country for which the use of thermal imager(s) has been approved and licensed. You will take all necessary precautions to maintain thermal imager(s) in the possession of your fire department personnel at all times and will take all practical measures to prevent theft, loss and unauthorized access. If the thermal imager(s) are lost, stolen or have unauthorized access, you agree to report this event to Bullard within thirty- (30) calendar days of occurrence. By signing below, you acknowledge the Bullard Thermal Imager Export Terms and Conditions stated above. I acknowledge and accept the above Conditions of Purchase. As a distributor, I agree to these terms and conditions listed above as they apply to me. By signing below, you acknowledge that you have advised the end-user listed on this form of the above Conditions of Purchase for the Bullard Fire Fighting Thermal Imagers. I acknowledge that I have advised the end-user listed on this form of the Bullard Thermal Imager Export Terms and Conditions stated above. As a distributor, I agree to these terms and conditions listed above as they apply to me.